Whether you prefer to wax, shave or pluck body hair, FUR's single-use mitts will become an essential step in your post-care routine. 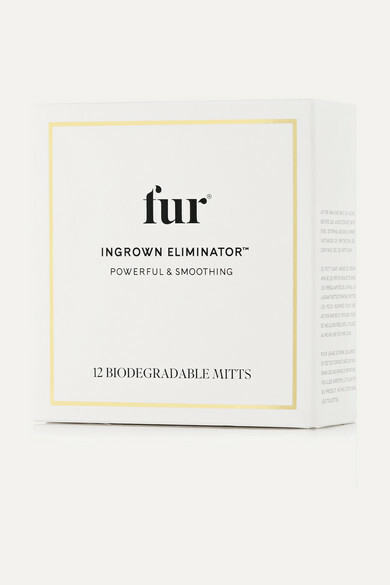 Each one of these 12 powerful and biodegradable treatments is soaked in a nourishing serum that soothes irritation while eliminating bumps or ingrown strands. The brand uses the finest ingredients, making it safe for sensitive skin and intimate areas.